Alessoooooo!!! Woooo!!! 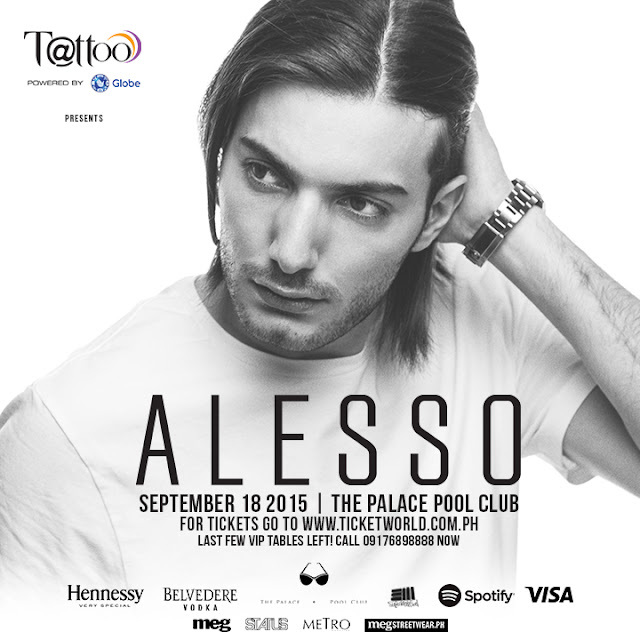 Forgive the excitement, but it's been a while since I've been to a party and I have never even been to the Palace Pool Club yet, so Alesso's show tomorrow is something I absolutely cannot wait for. Add to it the fact that I'll be partying it up with a birthday girl that I miss a lot and you just know the night will be unforgettable! You know what would make it even more unforgettable, though? If you guys all joined us! ;) Woot woot! The best part? You don't need to buy tickets if you're feeling broke at the moment. Lol. The promo is applicable to purchases or applications made from the new Globe GEN3 store in Greenbelt 4 in Makati ONLY. Promo period is until September 18, 2015.